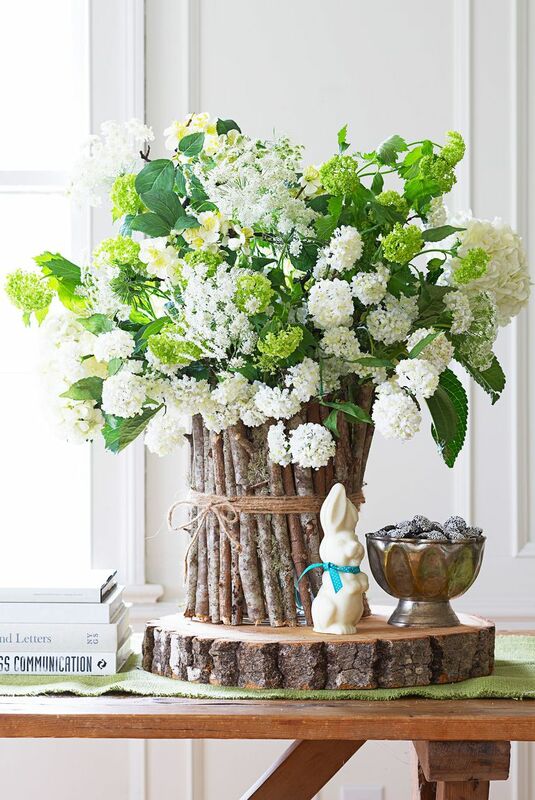 Give your floral centerpiece a rustic flair. 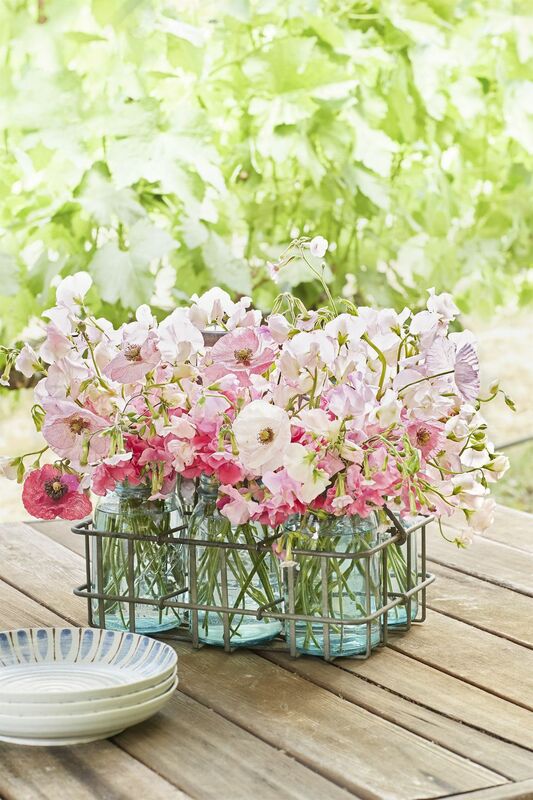 To make, bundle a half dozen milk jars with colorful string or twine, and then fill with your favorite blooms. 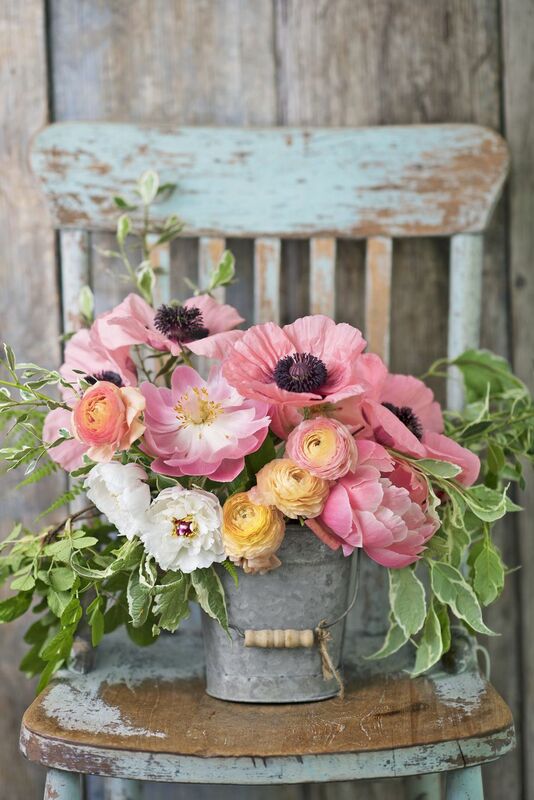 Let a vibrant, voluminous bouquet spill over from an aged bucket for a dramatic contrast. 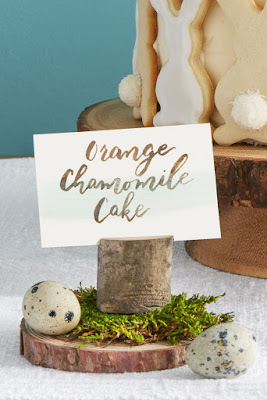 Your Easter food setup obviously looks completely delectable on its own, but wooden labels denoting each dish go the extra mile in encouraging friends and family to dig in. 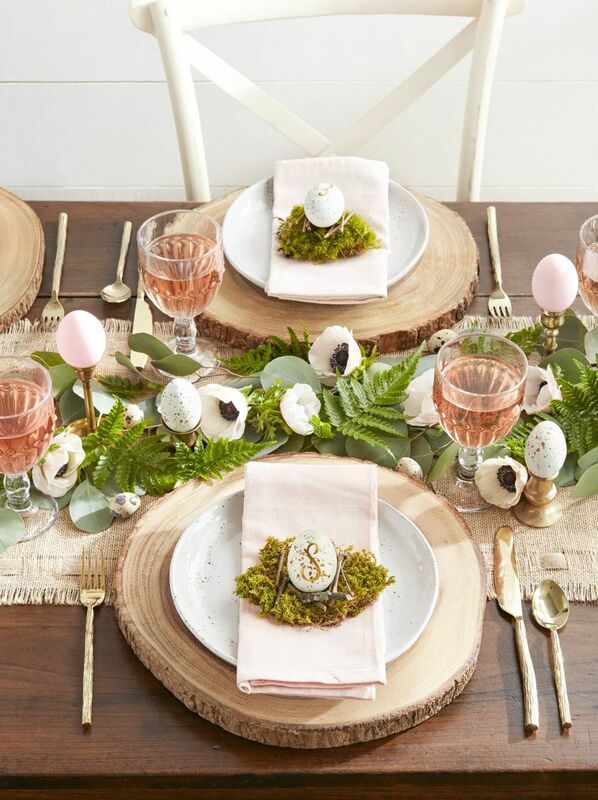 Cut a small sliver into a piece of a tree branch, then rest on top of a wood round with eggs and moss. 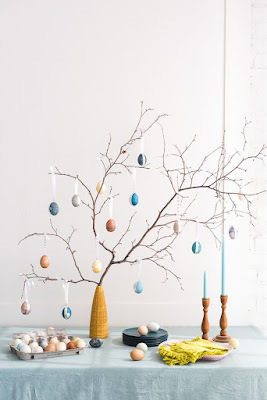 Bring the charm of the great outdoors (minus the mess) into your living room by building your own thematic mini tree. 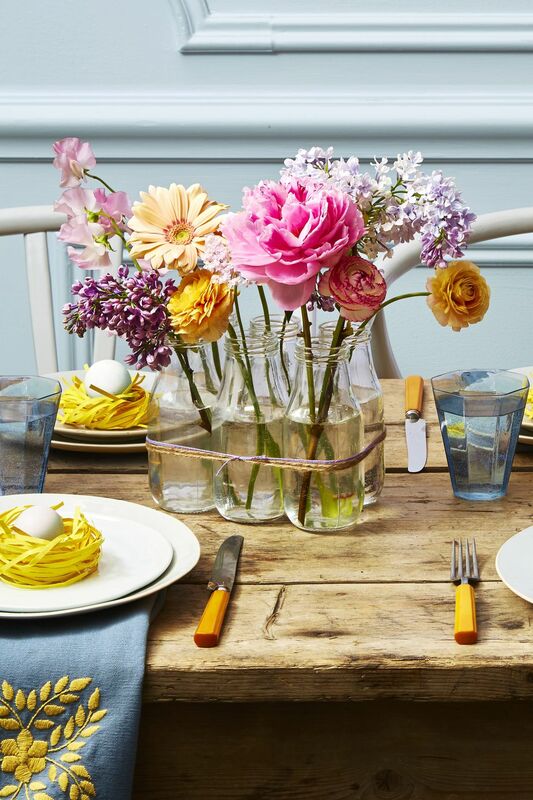 Adorn with your best dyed eggs for the finishing staple. 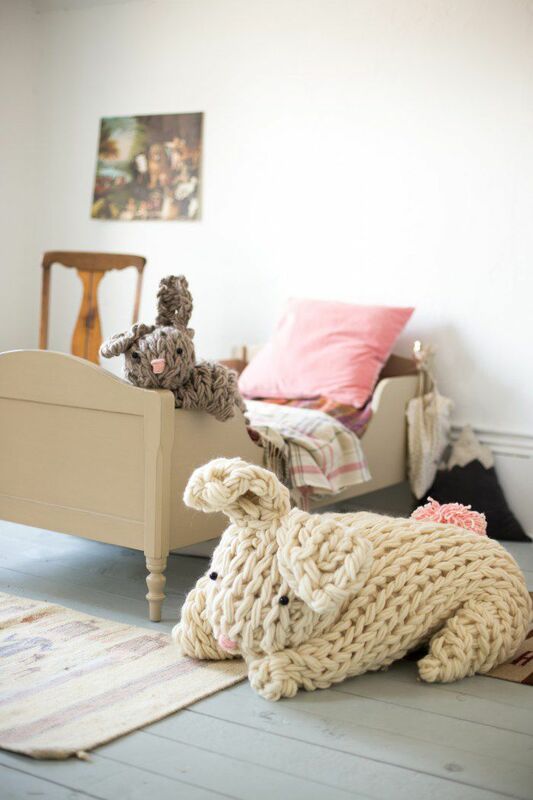 Get the tutorial at The House That Lars Built. Up the ante on your mason jar flower display by cloistering a few within a metal milk crate. 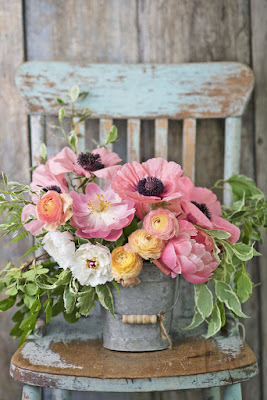 A woodsy vase echoes these flowers' country-garden vibe. 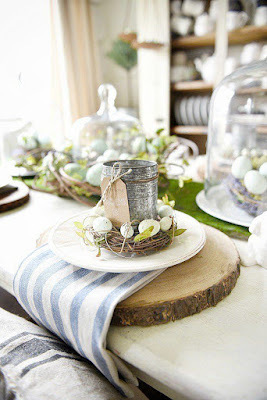 For the container, cut 30 to 40 twigs to the height of a glass vase, then lightly hot-glue them to its surface, a few inches at a time. Finish with jute twine tied in a bow. For the flowers, bundle the hydrangeas first, then insert Queen Anne's lace. 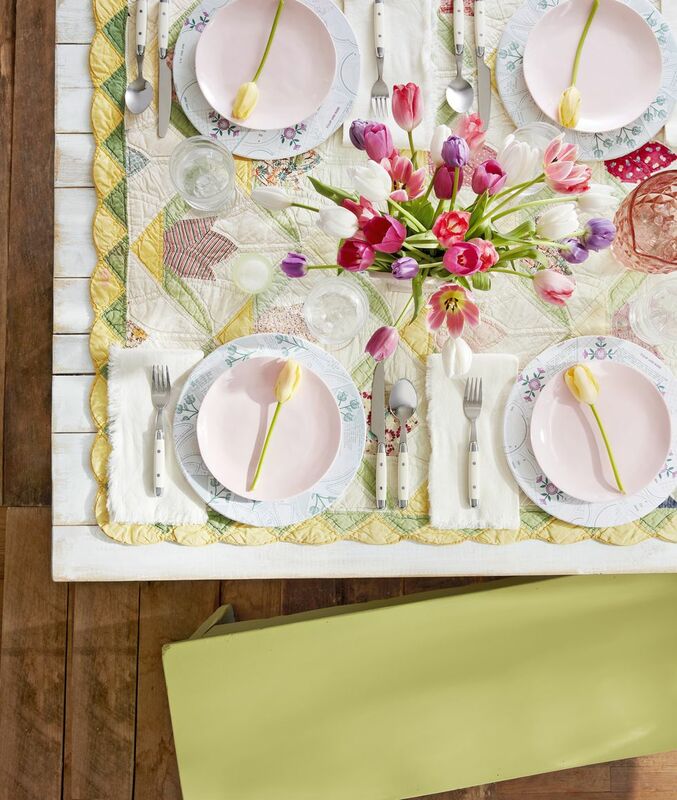 Keep fresh by misting. 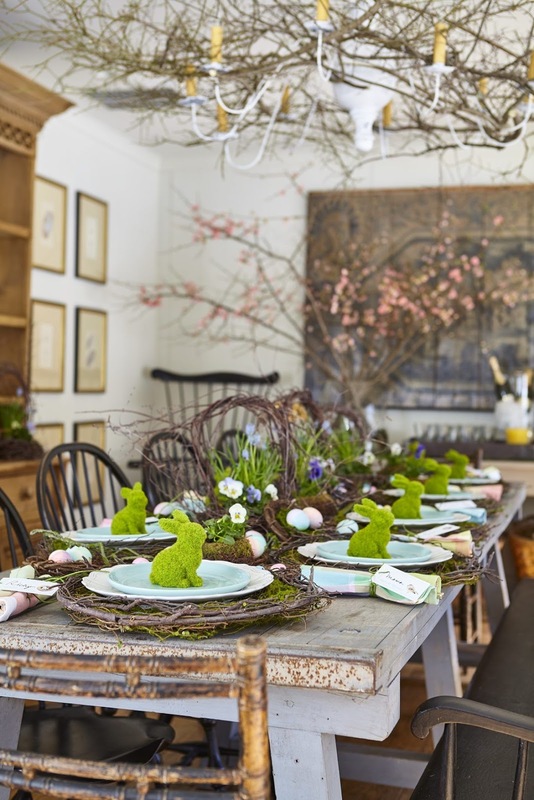 Create a woodland-inspired table decor with cute moss bunnies, grapevine wreath and moss chargers, twig nests and fresh grass and spring flowers. Don’t forget to sprinkle some faux eggs between the centerpieces as well. 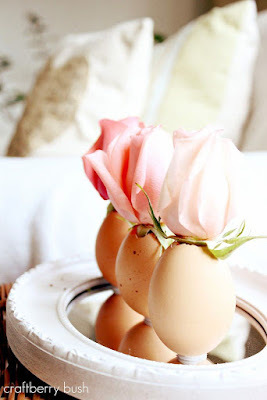 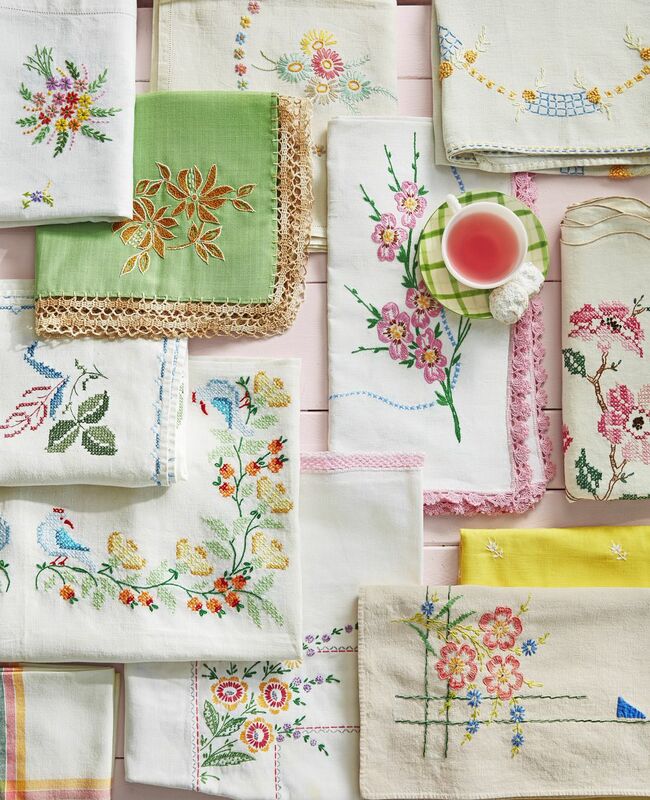 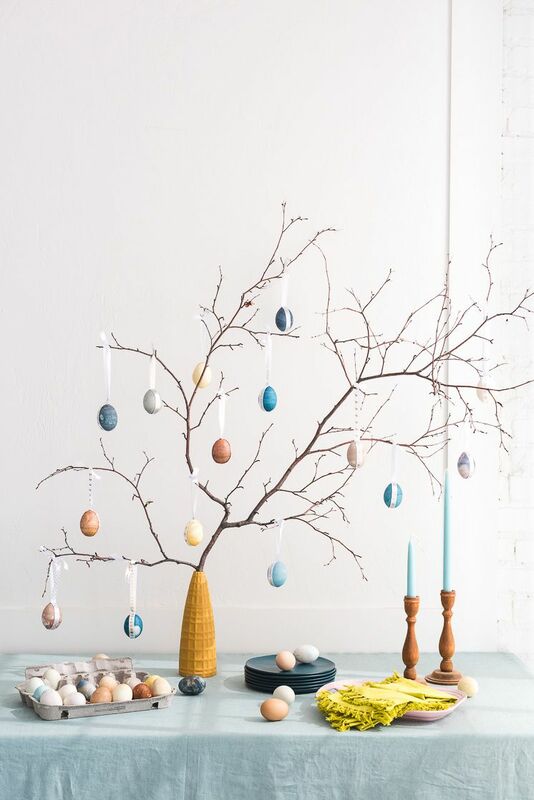 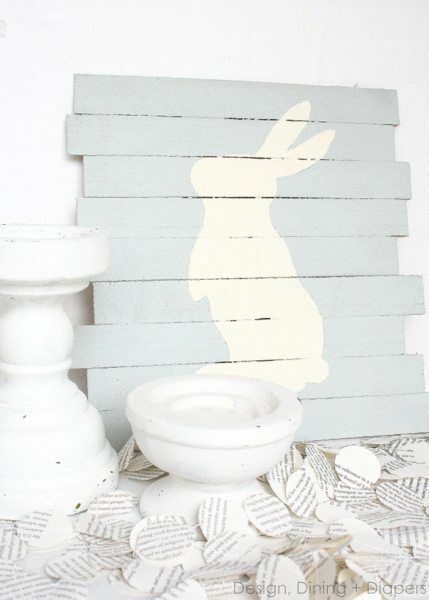 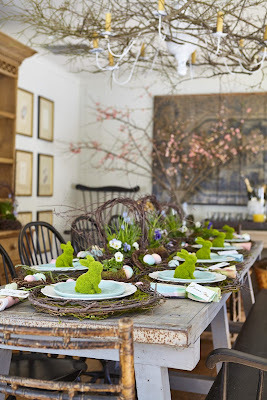 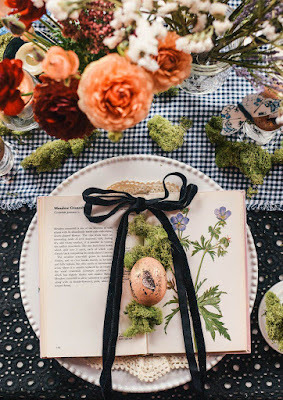 The inspiration for this fabulous Easter decor idea comes from noramurphycountryhouse. To give this homey, woodland spread a classic allure, use a gold paint pen to decorate eggs with each guests' monogram.